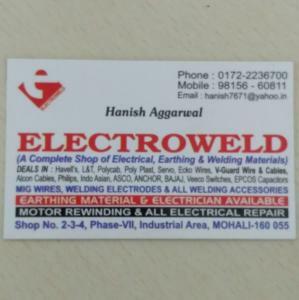 A complete shop of electrical, earthing and welding materials. 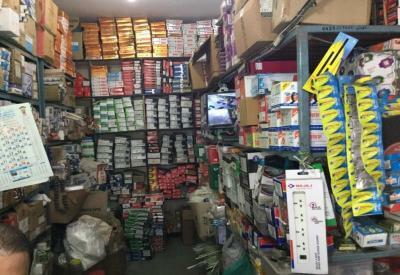 Deals in Havells, Polycab, L&T, Poly Plast, Servo, Ecko wires, V-guard wires and cables, Philips, IndoAsian, Anchor, Bajaj, Epcos capacitors etc. Also, provide electrician services.